It’s time for another mortgage review, this time the “Economic Opportunity Mortgage” from Union Bank. First things first, this mortgage is only available for residents of California, Oregon, and Washington. Additionally, it’s geared toward low- and moderate-income households, so it’s pretty specialized. If you’ve had trouble qualifying for a mortgage, or think it may be difficult, the EOM loan could be another option to take a look at while shopping around. If you don’t have a ton of money for a down payment, you can get an EOM loan with as little as 5% down, without being subject to private mortgage insurance (PMI). Typically, you must pay PMI on a mortgage if the loan-to-value ratio (LTV) exceeds 80%, meaning you must come up with 20% down to avoid it. So this is a good opportunity to get a low-down payment mortgage without taking a hit and seeing your monthly mortgage payment rise. Union Bank also offers refinancing via the Economic Opportunity Mortgage, with rate and term refinances up to 95% LTV, and cash out refinances up to 80% LTV, so there are plenty of options for all types of homeowners. Another great feature of the EOM loan is that Union Bank considers applicants with limited credit history. So if your credit report is barren, they may consider utility and rent payments when underwriting your loan, which could make qualifying a lot easier. If this all sounds good to you, note that there are certain requirements that must be met. As previously mentioned, the property must be located in California, Oregon, or Washington. Additionally, the property must either be located within a designated census area OR your annual household income must be lower than 120 percent of the median income in your county (or below 80% in certain counties in OR and WA). Yes, they will verify your income. The property being financed must also be owner-occupied, though 1-4 units are acceptable, including condos and manufactured homes. 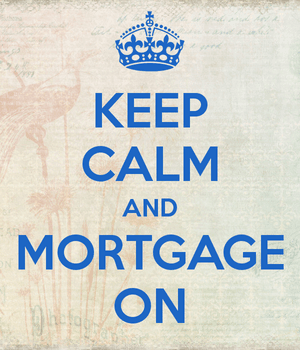 And you don’t need to be a first-time homebuyer. Who is the EOM Good For? The EOM loan is essentially an alternative to low/moderate income government-backed mortgages, such as FHA loans, which only require a 3.5% down payment. However, the mortgage insurance premiums on FHA loans are about to rise significantly, so the EOM loan may be a good alternative to take a look at. EOM loans also have lower closing costs than traditional mortgages, including no lender origination fee in some cases. And they only put their borrowers into fixed-rate mortgages, meaning no surprises down the line. I’ve also heard that mortgage rates on the program are very competitive, so it could be a more cost effective way to get low-down payment financing. As always, be sure to shop around a ton before deciding on any one bank, lender, or loan program. Everyone has a unique loan scenario, so what works for one borrower may not work (or be best) for another. For the record, Union Bank has originated more than $2 billion in EOM loans since the program launched all the way back in 1991. This deal is actually a little sweeter now for Pacific Northwest residents. We are in Seattle and just got word from them yesterday. Here’s the new terms for the product they rolled out – for new home buyers only – you can get a APR of 3.75 with no PMI and just 5% down. My wife and I applied for this product online to refi our 7 yr old manufactured home. This is the only product offered online for this type of home. We were sent a rate lock agreement before they determined we are not eligible, our income is to high. They will no longer honor the rate lock. The chronology seems very illogical and needless to say we are extremely disappointed with Union Bank especially considering I have held an account with them for 38 years.